As I revealed in my very first blog this year, thinking digital first is your number one priority for your marketing. The good news is that there are some great tools out there to help you. 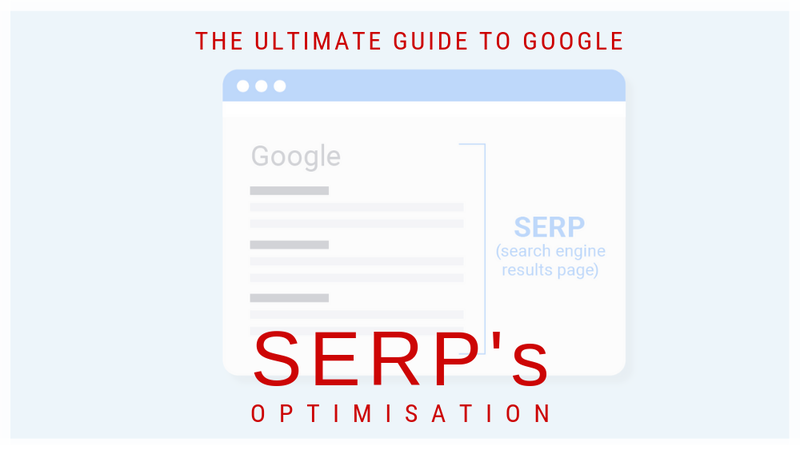 Understanding SERPS, how they work, and how you can exploit that can take you a long way. 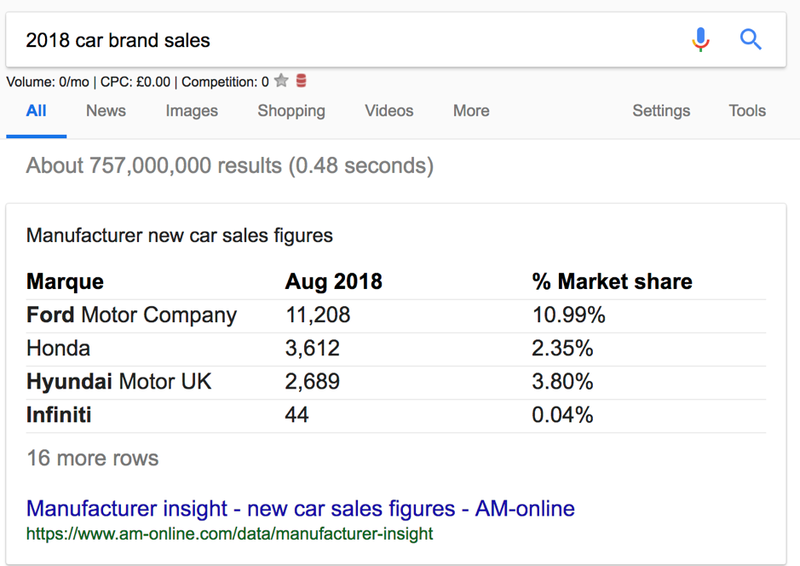 SERPs (Search Engine Results Pages) have massively increased in importance in terms of how you drive traffic to your website, and Google is constantly adding more features to help you increase visibility, so making use of SERPS is essential for your SEO marketing. Here’s my guide to the latest updates. 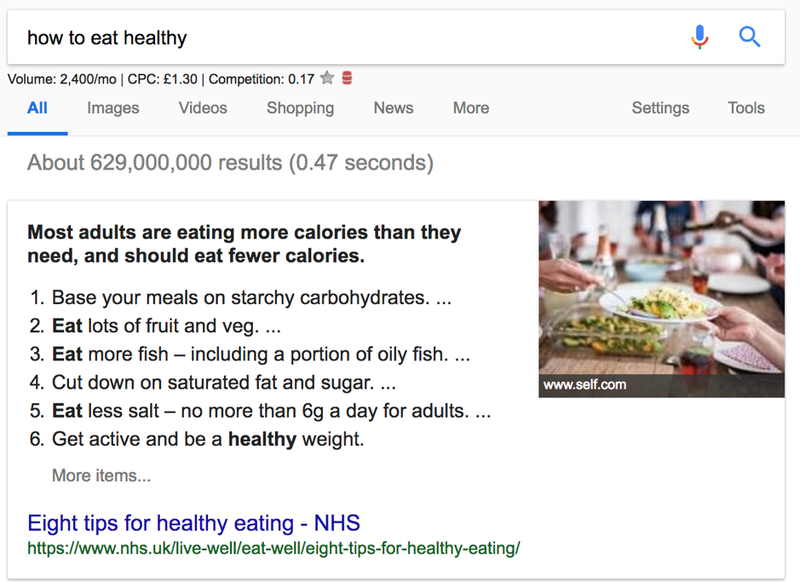 Featured Snippets were introduced in 2014, and are designed to give specific answers to question-based search queries, helping people find what they’re looking for more easily. They appear above other search results, and even above many advertisements. 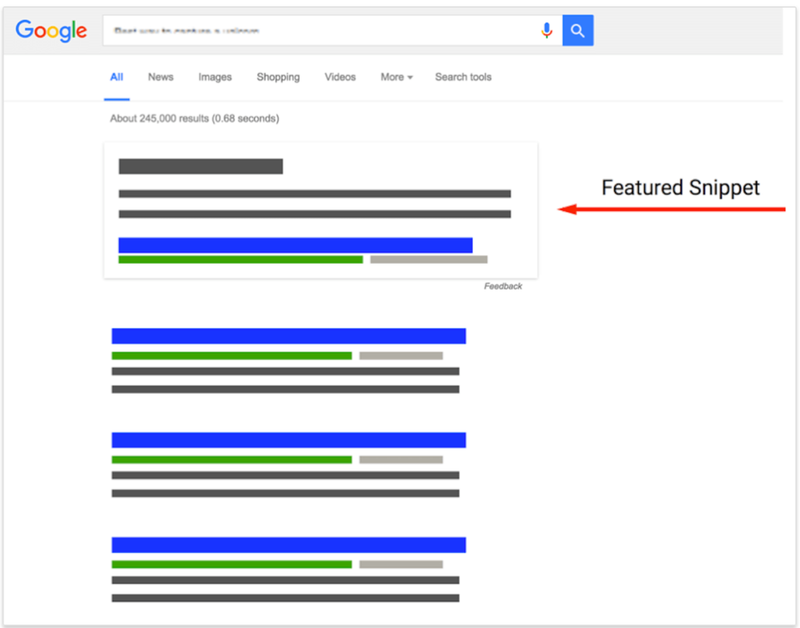 Most featured snippet result answers are between 40 to 50 words and 70% of all snippets are 35-50 words. Google has been increasing the importance of voice and mobile when it comes to searches, so the traditional form of keyword links is no longer as effective. Responses from voice search functions like Alexa, Siri and Cortana are frequently read from SERPS, and they only read the first result, so feature links definitely work better for voice enquiries. In a paragraph snippet, you see a few lines of text with the search query terms in bold, plus a picture. 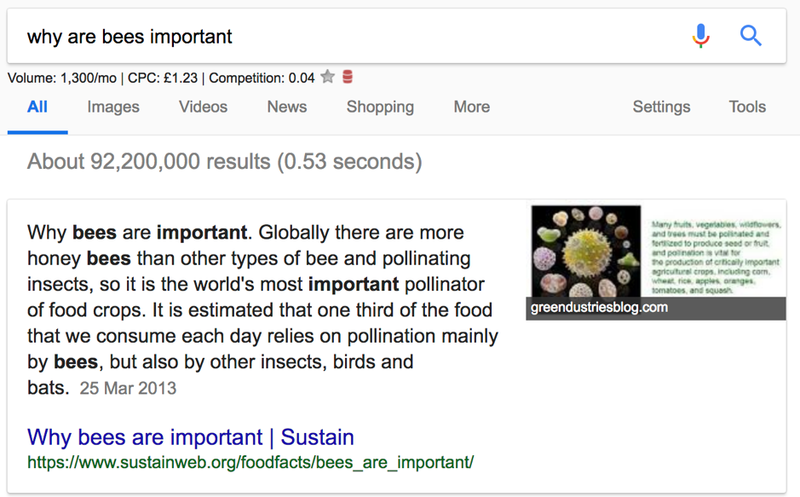 Google shows it when it considers that it quickly answers a search term, so a searcher can click the link if the featured paragraph works for them. I shared this snippet with you because I am a bee keeper with over 50,000 bees and produced about 60 lbs of natural honey this year. The table snippet is created by Google when it finds a graph that answers a query. The list snippet is similar to the paragraph but it categorises the information in bulleted or numbered points. Google includes video snippets when it thinks that they will help the searcher. Video snippets have a title, a link, and a description just like usual snippets, but they also include a video’s thumbnail, duration, and upload time. Video snippets are increasingly appearing in Google’s SERPs, particularly for ‘how to’ searches. Since Google partnered with Twitter, it started to index tweets and show them in the SERPs. These are usually trending tweets related to a query, like specific people or events. If you’re optimising for tweets you should be tweeting as a company. 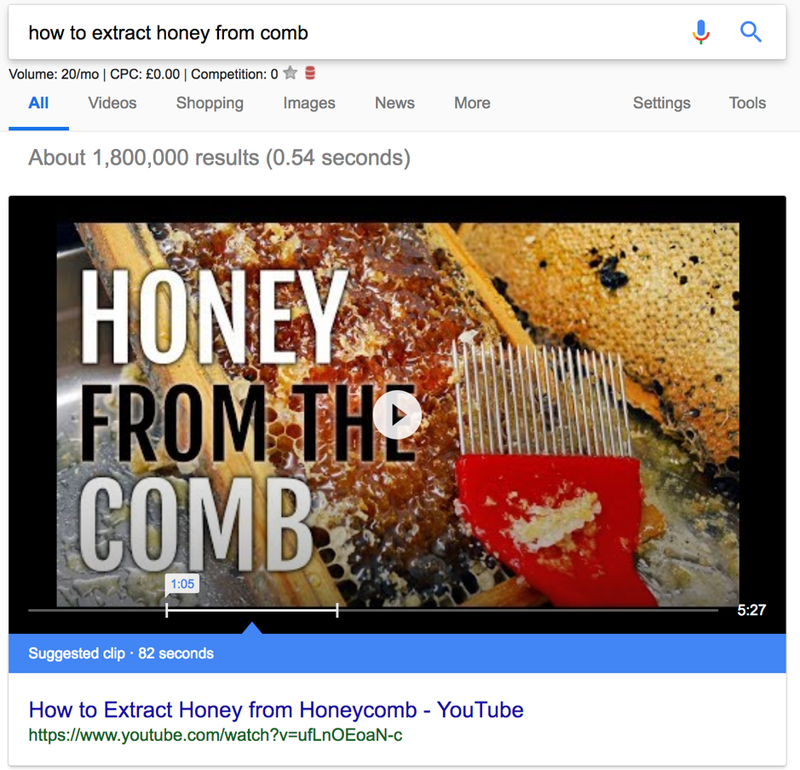 Featured Snippets show you how Google, as well as consumers, want you to structure your content. Provide the maximum amount of information possible – while enticing the customer to read more. So cut off the paragraph at a vital point. You can get a list snippet by creating a list and using H3 headers. (This underlines the importance of using headers in your content) Look at some rich snippets to see what they do right and how you could do better. Chop your transcript into small chunks (similar to the paragraph snippet) and use some long-tail keywords in the introduction, which you’ll paste into the description. Make sure your content uses short sentences and paragraphs, each with no more than 40-50 words. Give each short paragraph a question-form subheading, and include a long-tail keyword. FAQ-style posts help you use question-form keywords. Include a how-to section on your website. Make sure your website is on https:// Google prioritises them. 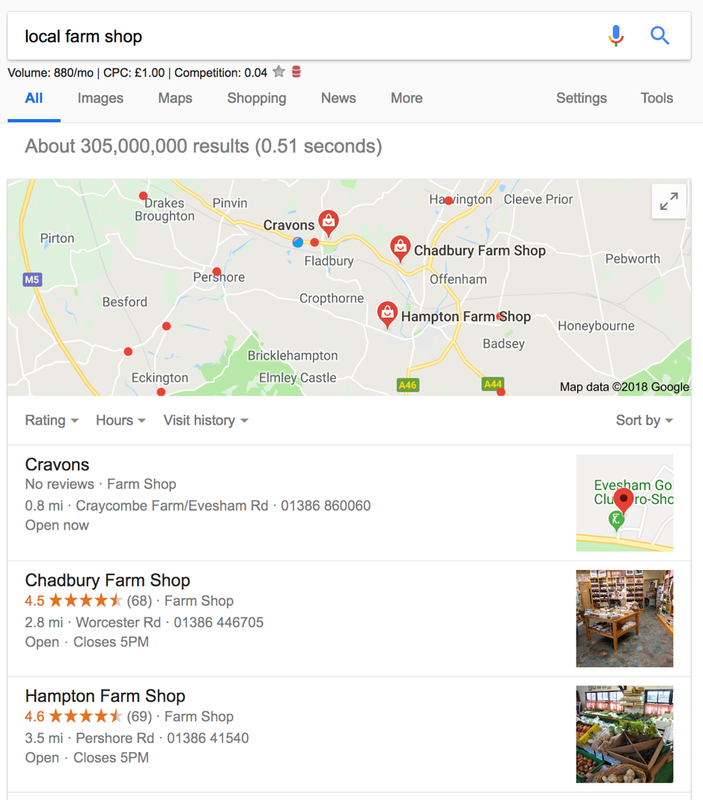 A Local 3-Pack shows up in SERPs when a query has a local intent or includes a geographical name, such as “Faversham copywriter”. Google originally had seven options but recently updated the SERP to just show three. Make sure your Google+ Local page is completely filled and accurate. Cultivate reviews on your Google+ account. Multiple positive reviews can be very beneficial when it comes to boosting your visibility, particularly since Google reviews and stars will be plainly visible on the 3-Pack. Cultivate locally relevant links to boost your visibility. Build standard backlinks to raise your organic rank. Backlinks are earned by generating rock solid content. My rule of thumb is that you should only be generating content that can actually compete with the top 10 SERP results for your topic. Build a strong presence on social media and other platforms to establish yourself as a local business with loyal followers. What is AMP and why does it matter? AMP (Accelerated Mobile Pages) helps pages load dramatically faster on mobile devices, and mostly applies to text-based content. load faster on mobile, and make content like news stories and blog posts more accessible to mobile users. Since Google says that around 20% of users will leave a website that takes too long to load, and that rises to 40% for shoppers, you can’t afford to ignore AMP. This is vitally important for you to recognise. As I outlined in my blog about the digital age, mobile is so embedded in our psyche now that you can’t afford to ignore it. To get the best from AMP pages, you’ll need engaging titles and headlines that include a call-to-action and encourage clicks. Don’t try and stuff them with keywords, but focus on the topic, make sure the introduction is concise and relevant and use an attention-grabbing, optimised image. Always use an image – whether it’s a picture, graph or diagram, it will help make your page, post or article more engaging. Pick the right file name for your image. Call it something relevant to the searcher, not ‘image 1’. Original images are best, but if you have no alternative but to use stock images, pick one that’s relevant to your text subject. Make sure the image dimension matches the image size as it should be displayed – so before uploading your image, save it in the right format. Use “srcset” if possible – which makes it possible to serve different images per screen width (useful for mobile). Changing the dimension of your image won’t automatically reduce the file size, so remember to do that as well. Add a caption to your image to help Google find it when it’s scanning your page. Use an image alt text, the title text is optional. Add OpenGraph and Twitter Card tags for the image. Add your image close to relevant, related text. You can read Yoast’s full article on this here, with some useful links to tools to help you do these. Finally, related questions usually has four questions. Clicking on one will expand it, showing a short answer that looks like a Featured Snippet. This is a great tool for keyword researchers as it shows you what else in your product or service area people are searching for. You can use it to make sure that your optimised web pages cover different questions types and really thorough content covering everything you need to be optimised for. I’d love to hear how you have embraced the Google changes and if you have seen an increase in traffic to your website. Good article. I can get my teeth into this and help some friends. I guess other SM platforms can be knitted in.